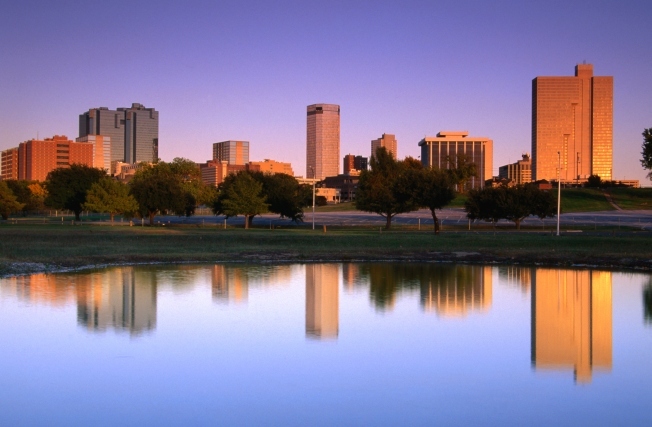 The skyline of Fort Worth is reflected in the Trinity River Park waters. On the west side of the Metroplex, another Trinity River project is trying to be a model for the future. Fort Worth's Trinity River Vision is a broad, overarching plan to fix the city's outdated levee system and create a bypass channel for the river to flow through -- but flood control isn't the only goal of the $578 million project; the "vision" wants to make a "sustainable urban neighborhood" on the banks of the Trinity. 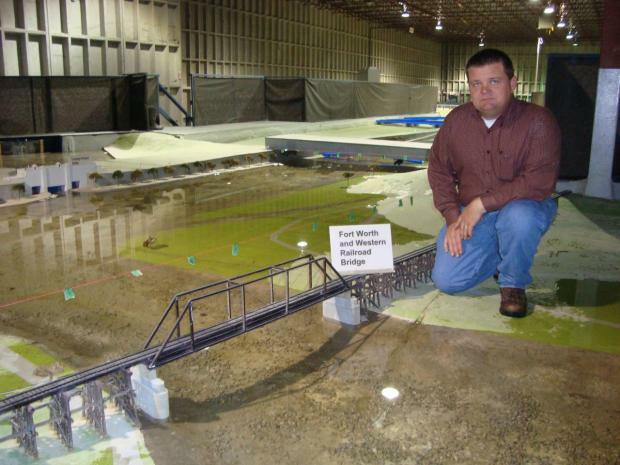 It's a big goal, requiring a big model -- a 40-to-1 scale model the size of a football field. We showed you some shots of the model last November, but now the TRV has a promotional video showcasing the running model in motion. Proponants of the plan say the $1.7 million scale model has saved $10-$15 million as they've discovered necessary changes before construction began -- but opponents like "Citizens Who Care" think a whole new plan is in order. Critics say the Trinity River Vision plan relies too heavily on eminent domain rights and public funding. In a proposed alternative plan, "Citizens Who Care" say their plan would cost much less than the "Vision" and protect privately held lands. The final outcome could already be decided -- the US Army Corp of Engineers has approved and endorsed the Trinity River Vision's plan, as have Sen. Hutchison, Rep. Granger, Mayor Mike Moncrief, and many other local businesspeople. The project is expected to be completed in 2019.